I talked about “excusefest” last week and told Susan Peter’s amazing story. Too often people lay out lame excuses like being too busy or too tired. Exercise and eating right are priveleges not burdens or inconveniences as people like to portray them. When something is taken away because of poor health it get people’s attention. This story really illustrates more than anything what you can accomplish when you clearly define a goal and purpose. This one was recent as less than a year ago my dad started to lose feeling in his legs. His health took a downward turn. The first MRI showed nothing. The second MRI still showed nothing. Finally, after a 3rd MRI, a benign tumor was found in his mid back which required immediate surgery. He continued to get weaker. Now my dad is a big tough guy. He was city champ wrestler in Minneapolis and known for being quite a barroom brawler back in his day. But this time he was scared. It was so bad he even thought about selling his house and updated his will. However, I saw my dad go from not being able to walk without using my mom’s walker to trekking through the Black Hills despite recovering from a back surgery, being 80 years old and overweight. A little history about my dad is that he never really liked working out and frequently joked that he was the “before picture” and I was the “after. But then what seemed like a minor fall ended up being a major incident that ripped away a big part of his life. You see my dad loves to hunt. It is what fills him up. But hunting requires a lot of walking and hiking. One day while we were over at the house, my dad fell while trying to bend over and pick something up. A few days later he kept complaining about weakness in the knees. He saw his chiropractor and I worked on some rehab exercises but despite our best efforts he continued to get worse. He was shaky and unsteady on his legs so the chiropractor ordered an MRI. Nothing came up so we continued treatments and rehab exercises. Finally, the 3rd MRI revealed the tumor and surgery was in order. After having the surgery, the feeling came back in his legs but he was extremely weak from being laid up. So that meant no deer hunting. Now my dad had been hosting a deer camp for almost 60 years and this was the first year he was going to miss it. He went up but I know it killed him to stay back at the cabin while the rest of us went out into the woods to hunt. To him that was the tipping point. He did not want to miss another big hunt. 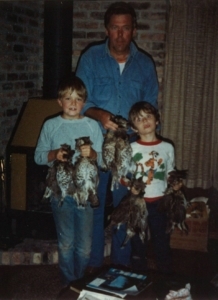 Every year he had two superbowls of hunting: deer opener and our spring turkey hunting trip in the Black Hills in April. When we returned from deer camp, my dad asked me to help him get his strength back so he could enjoy his passion again. We began training and (for the first time in his life) he listened to me and did what I told him to do. He even came to the studio on his off days to build up his endurance on the treadmill. There were the times (him being my dad) where he argued with me and questioned some of the exercises we were doing, but I reminded him to trust the process. Little by little he started to notice changes. He regained enough confidence to go out and do a short pheasant hunt with a friend and start walking the field again. When the South Dakota trip rolled around in April, he was more than ready. In fact, he was the first one to get a turkey. Now since hunting is over, he is enjoying being back out in the yard doing projects which is his #2 passion behind hunting. 1. When you have a strong purpose and goal you can accomplish anything. This is the fuel that will keep you going. Make sure to write these down and get them clearly defined. 2. To accomplish any goal that seems daunting or almost impossible, you need a coach or guide. 3. There is no goal that is truly worth it that does not require discipline, hard work and change. I am proud of my dad because I have never seen him work so hard in the gym. He still continues to do his sessions with me to this day because he realizes a little bit of maintenance goes a long way towards keeping you in physical shape in order to do the things you enjoy. If my dad can do it you can too. If you are sick and tired of being sick and tired and are ready to quit the excuses, then we can be the teacher you need to learn how to do it right. No diets, gimmicks or short cuts. The right way. Click here to see some of our clients who did it the right way. 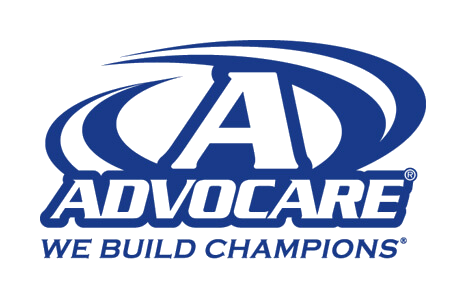 Reply to this email and we will get you set up for a complimentary consultation to find out your goals, needs, obstacles, and lifestyle habits. From there we will come up with 1-2 options to help you get to your “holy grail” of health and fitness and become our next amazing story.